7. Specialization "Mycology and Plant Pathology"
8. Ph.D., title "Taxonomic review of some members of Aphyllophorales"
(1) Technology Awareness programme at RMRS,Boko (2008) Indian Silk 10: 32-33. 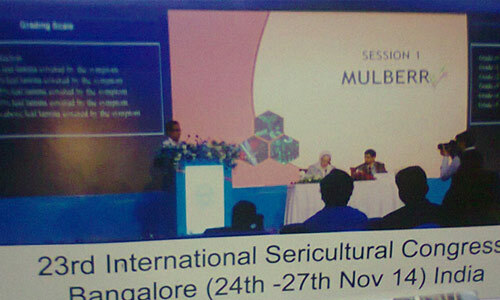 2 : Best Multivoltine farm award at P2 BSF, Dhubulia, West Bengal (2003 - 04). 4 : Citation of authors name following ICBN rules. (Coriolopsis proteus , (Berk. et Br.) Dutta et Roy. (Vide Ref : S.Dutta and Anjali Roy (1988) Taxonomy of Coriolopsis proteus,Comb.nov : Int. J. Myc. Lic.:3(2/3):235-246. (1) S.Dutta and Anjali Roy,(1983) Sexuality of Polyporus bicolor,Jungh; Curr.Sci, 20:52:989-990. (2) Anjali Roy and S.Dutta ,(1983) Taxonomy of Polyporus bicolor, Jungh; Biol.Bull of Ind.,5(2): 115-120. (3) S.Dutta and Anjali Roy, (1985) Notes on Microporus xanthopus, Fr.Kunt; Nova Hedwigia,42:1-7. (4) A.Mitra,S.Dutta and Anjali Roy,(1985): New records of two wood rotting fungi from India; Indian Forester,Vol:III,2:78-81. (6) S.Dutta and Anjali Roy (1985) Sexuality and monokaryotic fruiting of of Trametes rigida, Berk; Curr.Sci,50:2. (7) S.Dutta and Anjali Roy(1986) Taxonomy of Irpex vellerius, Berk and Br. Symposium Vol. 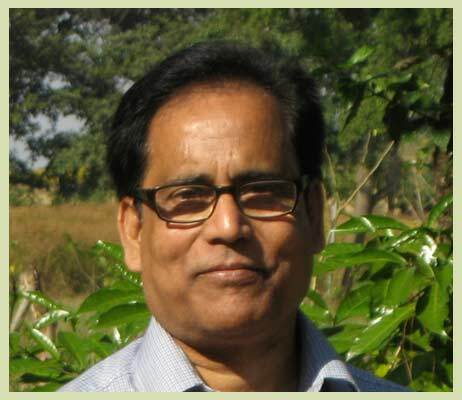 National seminar in Recent Trends in Plant Science Research Visva Bharati Univ. 18-19th Feb.
(8) S.Jana, S.Dutta,A.Mitra,and Anjali Roy (1987) Effect of plant growth regulators in some wood rotting polypores:Folia Microbiologica:32:481-484. (9) S.Dutta and Anjali Roy (1988) Taxonomy of Coriolopsis proteus,Comb.nov:I nt.J.Myc.Lich:3(2/3):235-246.